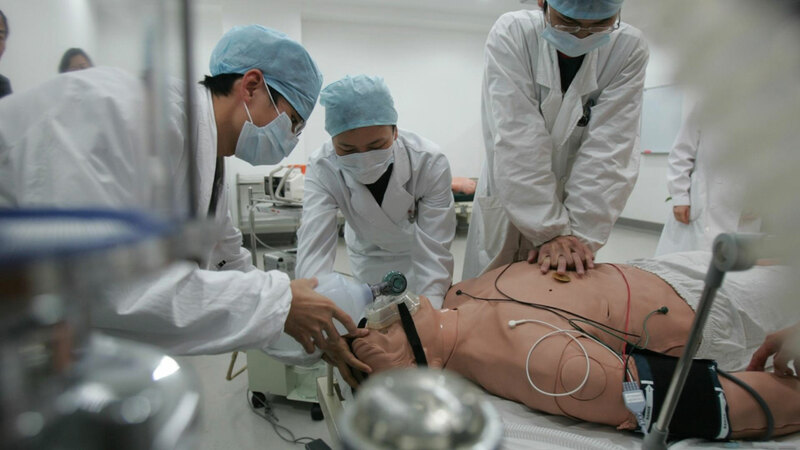 Modern-day simulation-based medical training can trace its origins back to the 1980s with the first documented use of manikins in anesthesiology training.1 From all indications, the field of healthcare simulation will continue to grow as an established and valid modality for healthcare training. Indeed, with an increased focus on patient safety and reducing medical-related errors, the future looks quite bright for those who are exploring careers related to healthcare education, administration, technical operations, and program facilitation. In fact, the recently launched Careers in Healthcare website (dedicated to providing the latest healthcare career information supplied by leading experts) concurs that careers in simulation-based healthcare disciplines are ripe with potential. While arguably simulation has been a part of healthcare since the beginning of medicine, within the last 25 years there has been a dramatic increase in healthcare institutions investing in simulated learning technologies. A career track in healthcare and/or healthcare simulation presents the right individual with a new and promising opportunity to help lead the way towards an industry-wide integration of best practices to improve outcomes and enhance patient safety. Must demonstrate a competence in using computer technology and software applications along with audiovisual platforms. Strong skills in communications, analysis, organization and a solid history in healthcare, and an affinity for teaching are also required for this high-in-demand profession. To be a "sim tech" you'll need to possess a variety of skill sets, ranging from information technology prowess and educational pedagogy to an understanding of make-up work (moulage) and knowing how to 'stage a scene.' This is where you'll find opportunities to provide technical support for simulation technology operations. Other job titles include clinical simulation educator; simulation education specialist; simulation learning strategist; simulation intake consultant; simulator instructor; simulation administrator, and the like. Get more information on healthcare careers at CareersinHealthcare.com. Additional opportunities may also be viewed on the CAE careers website.